Commissioning is often understood as having people who come in after everything is built to perform a few tests on the building systems. However, sometimes no amount of testing, troubleshooting, and time can be invested to deliver an operational and productive facility to the Owner. This was the case in one research laboratory. The design of the building systems was fundamentally incapable of delivering upon the Owner’s functional requirements. Initially, poor design quality and lack of diligence was the cause of the building systems failure. However, the root cause was a failure to accurately determine, communicate, and document what the Owner’s requirements were. For this particular lab to operate, different spaces required simultaneously high (~78F), and low temperatures (~66F), as well as a tight relative humidity requirement (60%). However, the HVAC system was designed as a constant volume, cooling only system with no humidity control. Temperatures were only adjustable by changing discharge temperature on the rooftop air handler. Thus, there was a major problem! Often owners make the mistake of believing that engaging a commissioning authority is unnecessary. They assume the Contractor, Vendors, or Designers, precisely know what their expectations and requirements are and will deliver their crafts accordingly. That may be their assumption, but let’s carefully examine what Contractors and Designers will do in these situations. Almost always, Contractors focus exclusively on delivering what their plan and specifications show. They don’t necessarily know the reason behind any design decisions. Also, if after construction the Owner finds their facility doesn’t perform, it might not be possible to hold the Contractor accountable without additional cost, as long as they delivered what their contracts stated. This was the case in the research lab. The Contractor delivered an HVAC system, and while wrongfully designed, did so successfully. Also, vendors are usually only focused on their specific piece of equipment they are installing. They usually only focus on this equipment’s specific performance. As a result, they completely miss the interaction of the equipment with the entire system. This ultimately leads to the assumption from the Owner that the designer understands their needs in full, and that the final design will reflect that. Finally, Designers rarely, if ever, return to the facility they designed to test how it performs. Commissioning is defined as a cradle to grave process. The goal of Commissioning is to assure all systems and components of a building or industrial plant are designed, installed, tested, operated, and maintained according to the operational requirements of the Owner. That said, the first step of the Commissioning Process is to review the Owner’s Project Requirements. In some cases this means leading the process in documenting them. This occurs in the project conception phase. Each subsequent step of the Commissioning Process is to verify those original requirements are reflected in the design, construction, and ultimately the facility itself. This process fills the gap created between the typical scope of Contractors and Designers. Ultimately, an effective commissioning program prevents delays in facility opening and potentially lost revenue. Most importantly, Commissioning gives Owner’s confidence to be productive on day one. 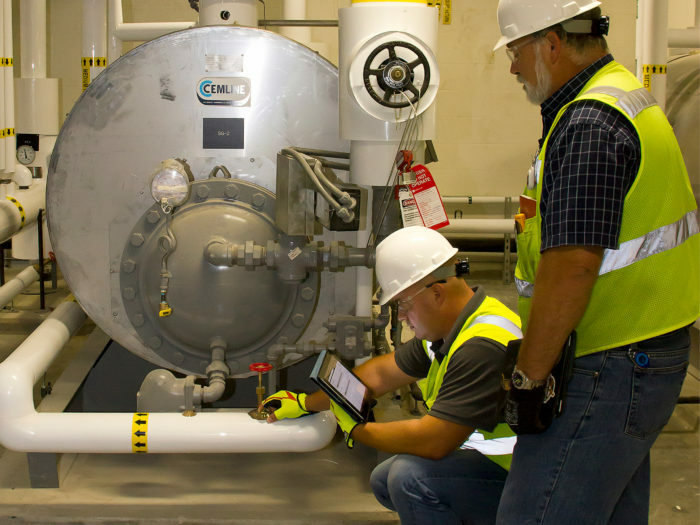 Commissioning addresses equipment failures and design issues promptly before turn-over. It assures that when the Owner receives the keys, the building systems are functioning as required. Simply stated commissioning always pays for itself and is a great investment for Owners.